Lock in a great price for The Lighthouse - Beachfront Accommodation – rated 9.3 by recent guests! Located in Port Hughes in the South Australia region, The Lighthouse - Beachfront Accommodation has a garden. Guests staying at this vacation home can use the fully equipped kitchen and a terrace. 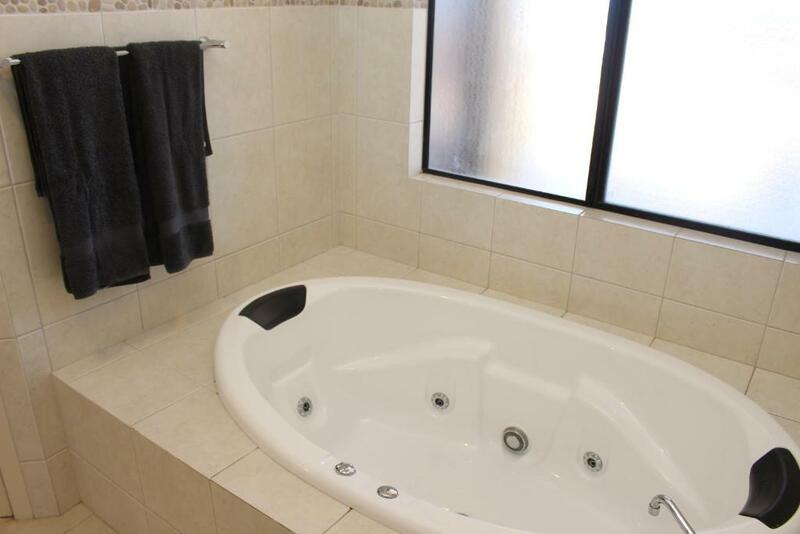 Composed of 4 bedrooms and 2 bathrooms with a bath and a shower, this vacation home comes with a flat-screen TV. The vacation home has a grill. A water park is also available for guests at The Lighthouse - Beachfront Accommo. Wallaroo is 13 miles from the accommodation. 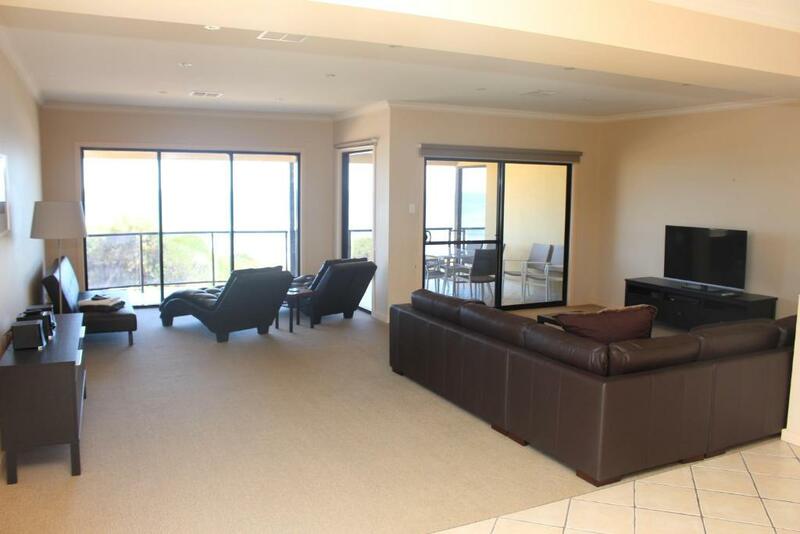 This property also has one of the top-rated locations in Port Hughes! Guests are happier about it compared to other properties in the area. 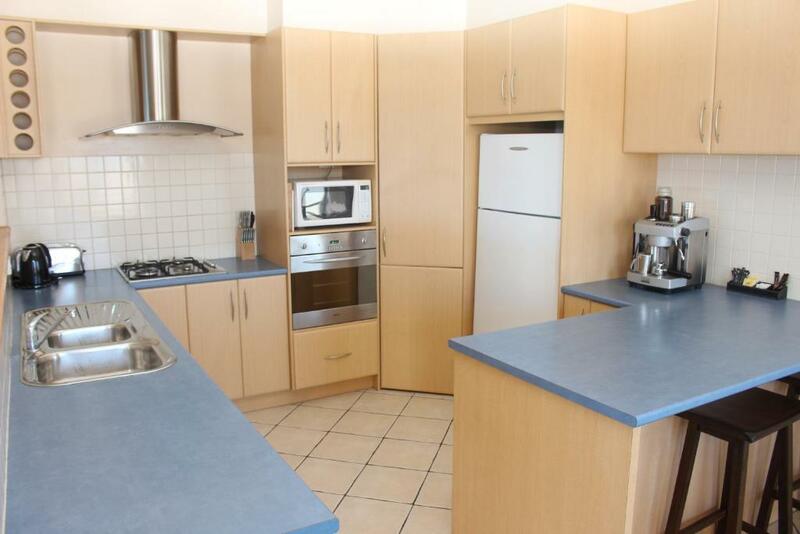 This property is also rated for the best value in Port Hughes! Guests are getting more for their money when compared to other properties in this city. 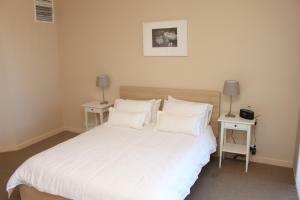 When would you like to stay at The Lighthouse - Beachfront Accommodation? This holiday home features a balcony, sofa and kitchenware. The Lighthouse at Port Hughes is a holiday home that will be enjoyed by the whole family. With access to great fishing and water sports and close by to cafes and local restaurants you are guaranteed to have an enjoyable experience. The property will accommodate up to 12 guests, offering 4 bedrooms, multiple living areas and 3 bathrooms the hardest decision will be who enjoys the generous master bedroom with ensuite complete with twin oval spa! 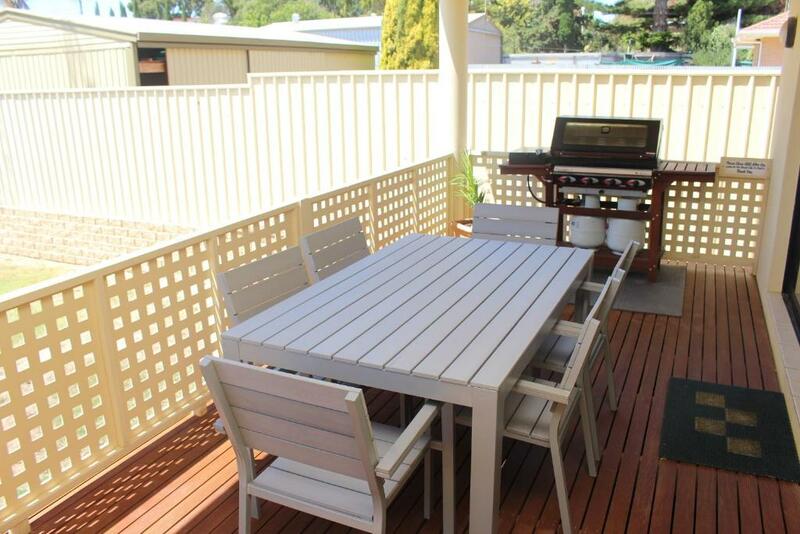 Entertain indoors, use the multiple front balconies or enjoy a BBQ on the rear undercover entertaining deck over looking the fully enclosed rear yard ideal to ensure the safety of all kids. The property also provides Air conditioning, BBQ - Gas, Boat Ramp Nearby, provisions available for self-cooking, CD Player, DVD Player, Highchair, Kitchen, Laundry facilities, Tea/Coffee Making Facilities, Television, Undercover or off street parking. Please note this is a non smoking property. The Copper Coast provides a holiday destination with something for the whole family to enjoy from heritage to fishing or conferences. Start enjoying the lifestyle today - you will be back for more!!!! 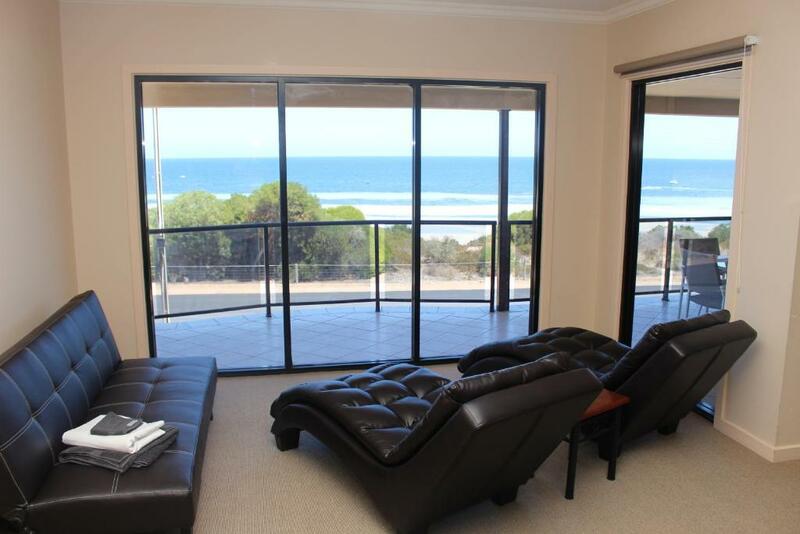 The Lighthouse is situated in Port Hughes, only two hours from Adelaide, a picturesque coastal town featuring pristine beaches and calm clear waters, including a fantastic jetty that is widely renowned as a fishing hot spot! Surveyed in 1863 and named after Sir Watson Hughes (who was one of the founders of the University of Adelaide), Port Hughes is ideally located just minutes from Moonta, Wallaroo and Kadina. With its focus on recreation and outdoor living, it is a perfect destination for couples and families alike. Like many other emerging towns on the Yorke Peninsula, Port Hughes is experiencing significant growth with modern developments attracting more and more new residents and holidaymakers. The first nine holes of The Dunes Port Hughes golf course are open and ready to play! This championship golf course is designed by Australian golf legend Greg Norman. House Rules The Lighthouse - Beachfront Accommodation takes special requests – add in the next step! 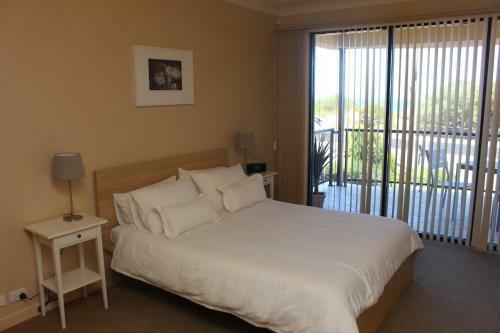 The Lighthouse - Beachfront Accommodation accepts these cards and reserves the right to temporarily hold an amount prior to arrival. Please inform The Lighthouse - Beachfront Accommodation of your expected arrival time in advance. You can use the Special Requests box when booking, or contact the property directly using the contact details in your confirmation. Kitchen cupboards are peeling but doesn’t effect the use. The back yard was over grown (the lawn needed mowing), there was chewing gum stuck to one of the front windows, the cold water tap falls of in your hand in the bathroom down stairs and we couldn't find information on how to operate the airconditioner for certain rooms. There was no lock on the child gate at the top of the stairs we had to use a pencil. 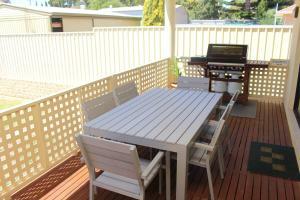 The house is a great layout and excellent for a large family. The view was great. Nice large house.